Okay, I’m going to totally nerd-out here and tell you about one of the most exciting moments in my entire travelling life. 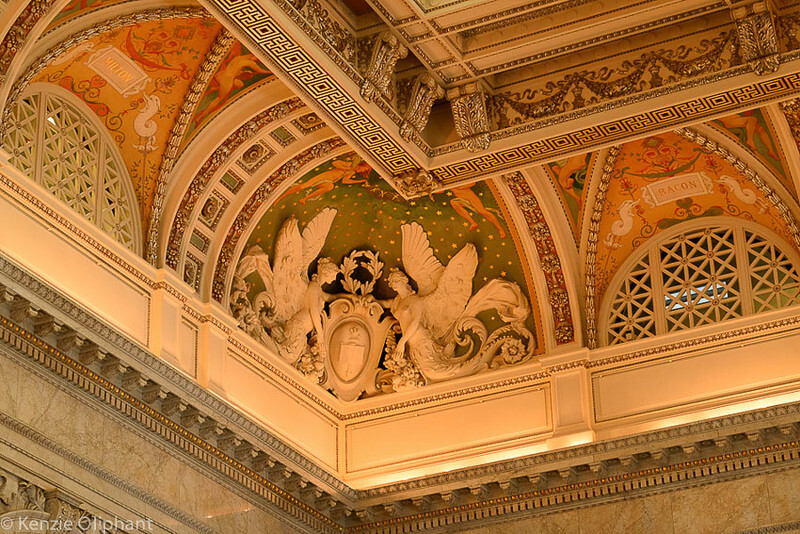 It’s all about the day I went to the great Library of Congress in Washington, DC, USA. About the moment when I not only realised that I was a total nerd at heart, but also when I learned to embrace it, to love it and yes, to revel in it. 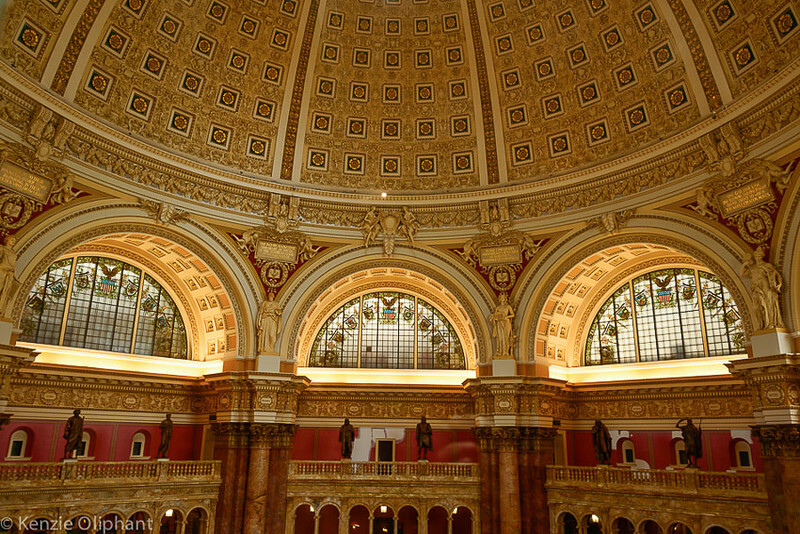 And if you’re ever going to fall for your inner nerd, the Library of Congress is absolutely the place to do it. 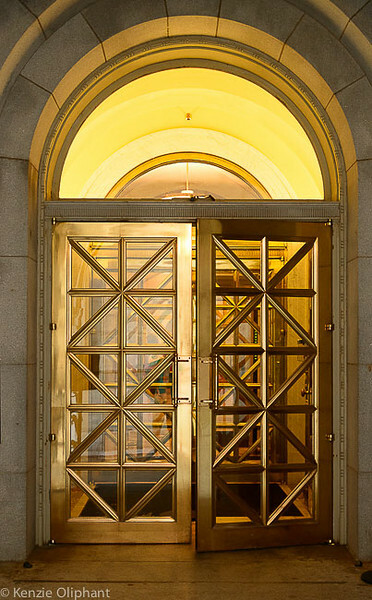 For those non-nerdish types reading this, the revelation that I’d always wanted to visit the Library of Congress might seem a tad sad. But it’s true. I love libraries in general, and great, towering, legendary libraries in particular. Yes, I am one of those who still mourns the loss of the Library of Alexandria. But my love isn’t based just on the fact that these places have lots of books (lets face it, so do book shops and I… oh, wait), but also on the types of books, the age of the collection and also about the building itself. I love fascinating spaces and what designers and builders do with them, how they conjure meaning and atmosphere and story. 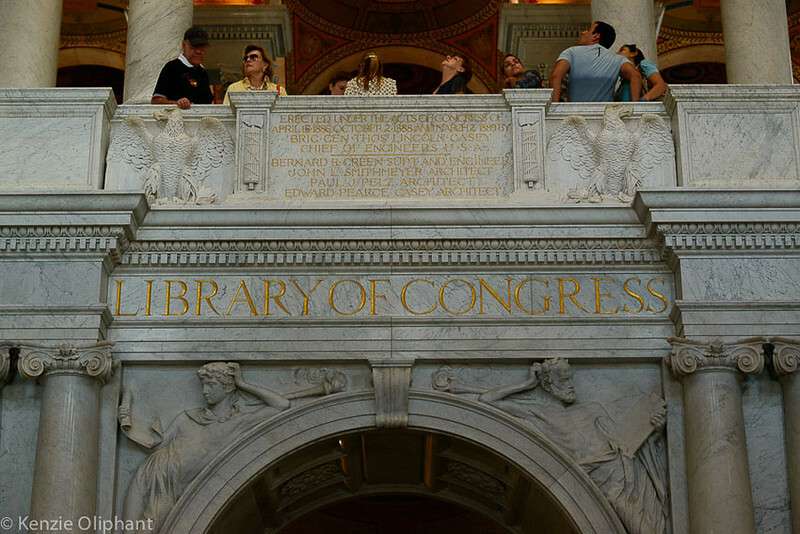 So let’s just say that the Library of Congress – and the Thomas Jefferson Building in particular – not only rings every bell for me, but does it loudly, in a foot-stomping, Riverdance kind of way. Think Bon Jovi anthem. Think 1812 Overture, avec cannon. Think the Jackson Five’s Blame it on the Boogie. You get my drift. 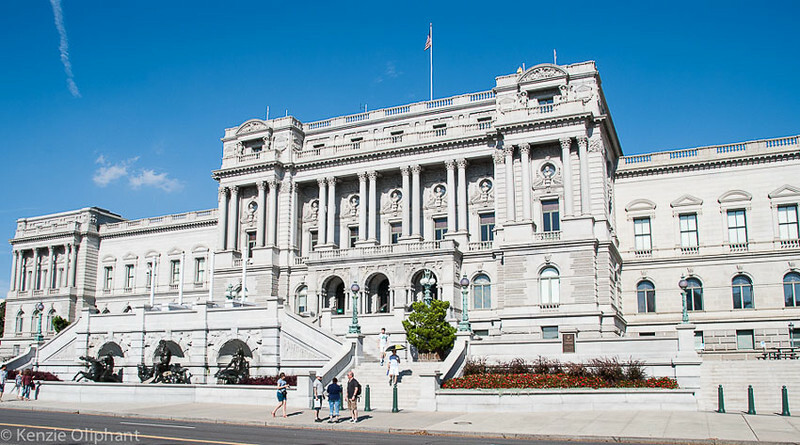 My experience of the Library of Congress – LoC – was very much enhanced by virtue of my friend Charlie, resident of Florida but native of Georgia, literature professor, Shakespeare scholar, creative writing guru and full-time book/library nerd (and Doctor Who fan, but we won’t go into that here). Charlie comes to DC a couple of time a year and always takes the opportunity to go to the Library and do some research. I was in excellent company. That great lover of letters and books, President John Adams got the ball rolling when he moved the US capital from Philadelphia to Washington in 1800, and in the process, set aside money for a small library for the use of Congress. 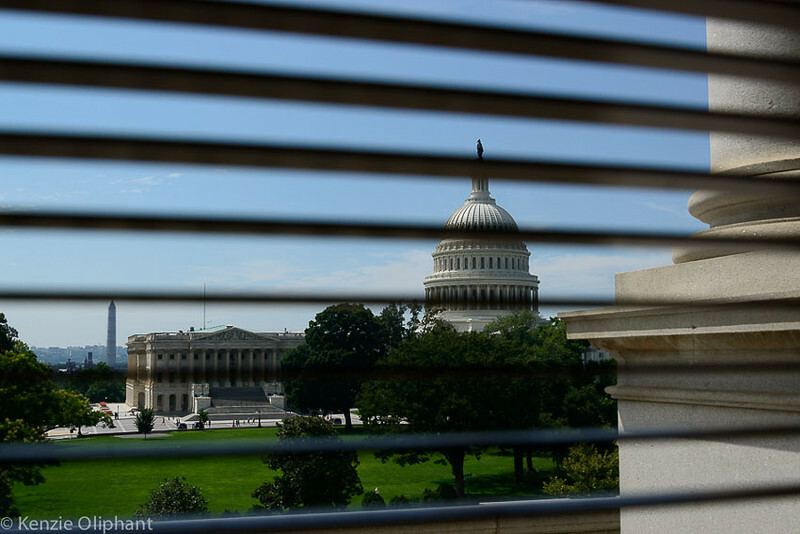 The library might well have stayed small and access limited to Congress if the British had not set fire to the Capitol Building in 1814, destroying the 3000 book library. A month later, retired President Thomas Jefferson offered his own substantial library as a foundation for a new institution. He’d been collecting books for more than fifty years, on every science, philosophy, history and language he could find. Congress finally offered him just $23,950 for the 8,487 books, a fraction of what they were worth. In 1870, Ainsworth Rand Spofford (isn’t that a fantastic name?) sponsored the copyright law which required all applicants to send two copies of their work to the Library. Over the next thirty years it became clear that a new building had to be constructed to house the ever-growing collection. 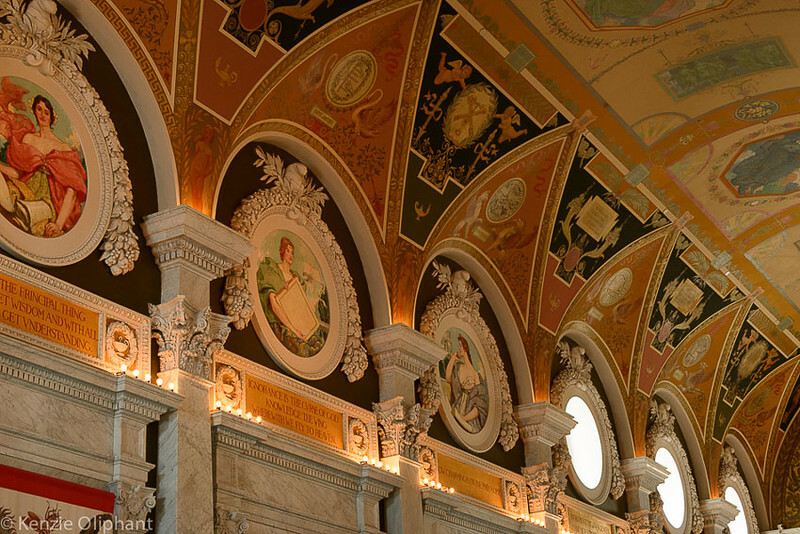 The new Library of Congress was opened to the public on November 1, 1897. Today, it’s the largest library in the world, holding more than 160 million items in 46 languages across 838 miles of bookshelves. This is one serious library. 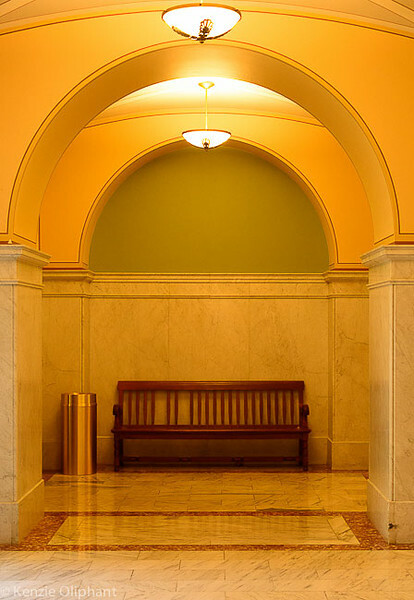 One of the best things about visiting a place like the LoC with somebody in the know is that they get you into see things the visiting public knows little or nothing about. For example, the moment we arrived at the Library, Charlie took me into the administration office where he arranged for me to get an official Reader’s card. These are reserved only for people planning to do actual research, giving them access to the Reading Room at the heart of the Library. Visiting public can only look down at the Reading Room from a balcony high in the roof. So having a Reader’s card meant that I could go right into the Library and you know, touch the actual books! With my card in hand, Charlie led me from the John Adams building down into the secret sub-basements. At least they felt secret to me. 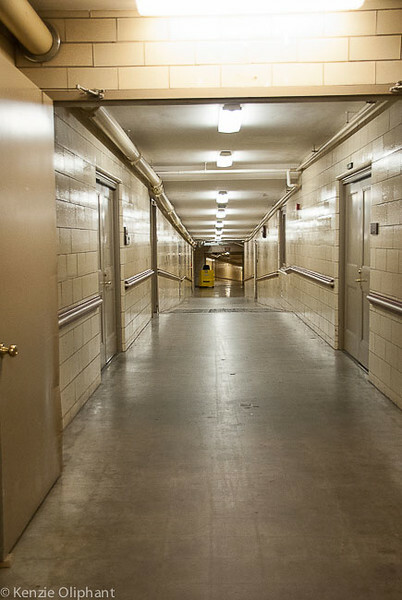 And just like that, I was thrown back to the 1940s as we wandered along an intriguing network of tunnels that criss-cross the Mall, allowing workers to access all government buildings without having to go above ground. This is especially useful during the harsh DC winters, but also means that little jobs like transporting books to the Capitol Building becomes little more than a short-ish trolley walk away. I felt like I was in a James Bond movie. I had no idea where I was, or what tunnel led where. 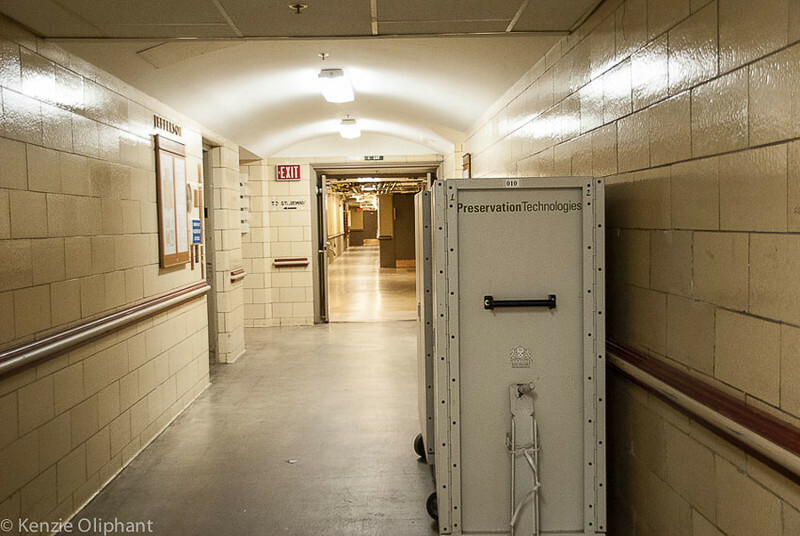 Down every passage way were special storage rooms or preservation labs. Some corridors were right out of a submarine, others were high Roman in decoration, filled with delicate details. I would have been happy to explore for another hour but we didn’t have all day. 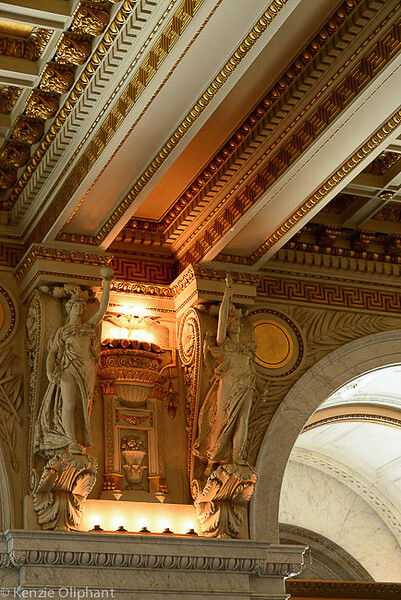 We emerged into the main entrance of the Thomas Jefferson Building, where the most glorious ideals of classical Roman and Greek design were borrowed, worshipped and made real. Corinthian columns rise tall to the ceiling and almost every surface is decked out in contrasting swathes of exquisite marble. Mythological creatures, classic scholars and the best principles of the Enlightenment cover the walls and ceilings, a statement – both symbolic and literal – of all the Library represented to what was then a new country. It was designed to impress – and it does. Charlie led me into the Catalogue Room where his expertise really came to the fore. While I sat at a computer, randomly looking up famous books I thought should be there (and were), he was at another computer finding and putting a request in for one of my own books! Yes, people. One of my books is in the Library of Congress! Excited beyond measure, I headed into the Reading Room. It’s so hard to be stunned by a place while at the same time try to look like you’re really cool and it’s no big deal. Standing in the doorway with my mouth wide open, while silently saying, WOW! and waving my hands around probably didn’t help my case much. The reading room is simply extraordinary. 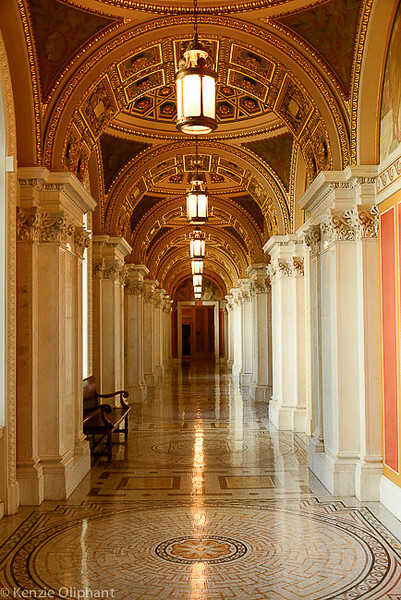 It’s a culmination of the grand Roman design elsewhere in the building, with its golden ceiling and powerful arches. But it’s not just a place to store books or to study and research. It’s deliberately designed to pay homage to the art and value of learning, of passing on and holding knowledge as most dear. It’s a temple to the Enlightenment Thomas Jefferson was himself a part of. Charlie and I took a seat at one of the tables to wait for my book to be delivered from the dungeons. We spoke in hushed, reverent voices, careful not to look out of place. Any moment I expected somebody to claim I was a fraud and show me the door. As we waited, I chose two books at random to look through. The first was a pictorial history of the building of Washington with some truly fascinating photos of the land before the Library was built. The second book I took from the shelves behind us, on the most important female authors in American history. Finally my book arrived. As a paperback copy of Exile’s Return was placed into my hands, I saw that they’d attached a Library of Congress hard cover onto it, I assume in order to protect it. I ran my hands over its stiff, cloth surface, paying particular attention to the branded brown and gold paper on the inside leaf. I opened to a page at random and read words that I’d written a few years ago, and suddenly they seemed so much bigger and more substantial than the little things I’d thrown onto a page in my garret in London (yep, true story). Unfortunately, phones and cameras are not allowed into the library, nor are bags of any kind, so I wasn’t able to get a selfie with my book – but the memory is tucked away for future reference. I wrote something that is now a permanent part of this incredible place. I feel both amazed and humbled at the same time. Alas, the Library was closing shortly after my book arrived, so I only had a few minutes to commune before we were herded out into the heat and too-bright sunshine. I burst onto the street, overwhelmed with the kind of high I usually only get from writing. There’s no other way to describe it: I just had so much fun! Yes, I’m a nerd. Great, huh? 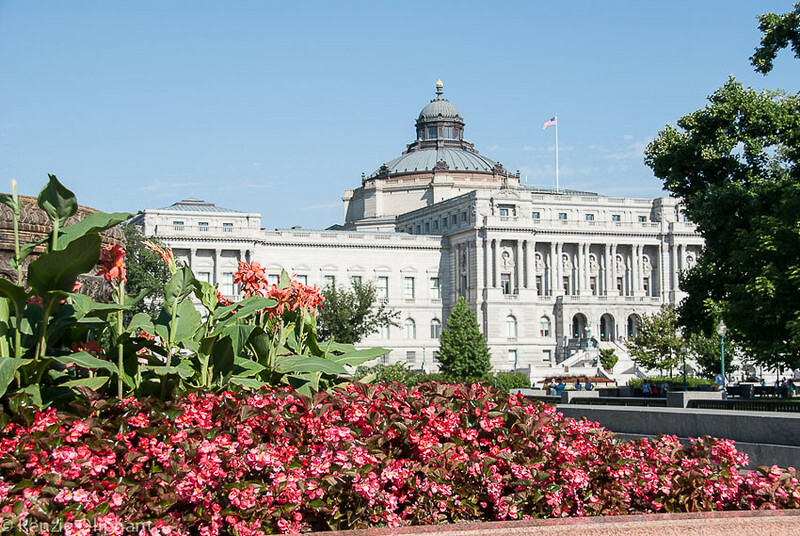 The Library of Congress can be found across the road from the Capitol Building at one end of the Mall. 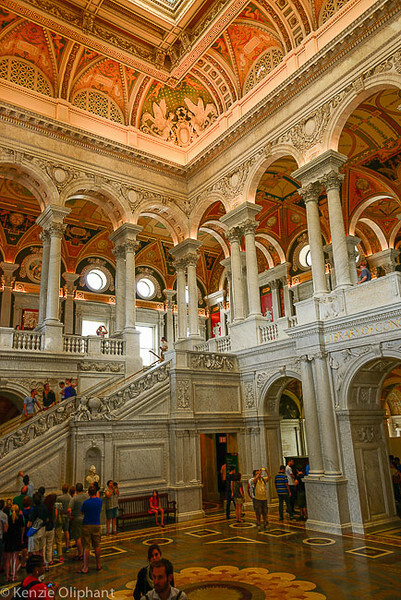 There are 3 buildings to the Library of Congress in DC, the oldest and most visited being the Thomas Jefferson Building, considered the most beautiful of the public buildings in Washington. Although you can’t enter the Reading Room (it’s reserved for those doing research), you can view it from a balcony and take photos. The main entrance hall and several exhibition rooms that lead off it are all open to the public for free. There’s also a great shop downstairs plus a good docent-led walking tour of the Library, exploring the building itself. There are plenty of other things to see, including the re-gathering together of Thomas Jefferson’s original library collection and other historical exhibitions. 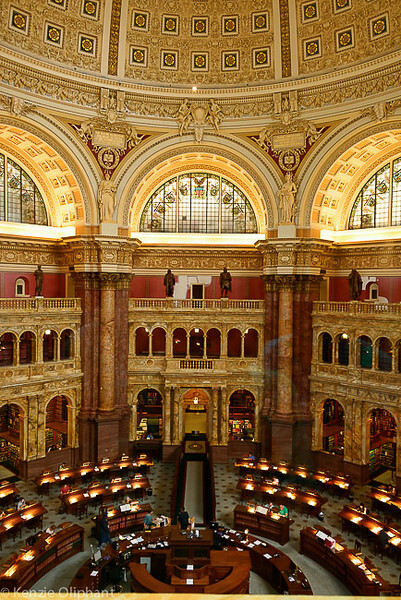 You can download information about visiting from the Library of Congress website.